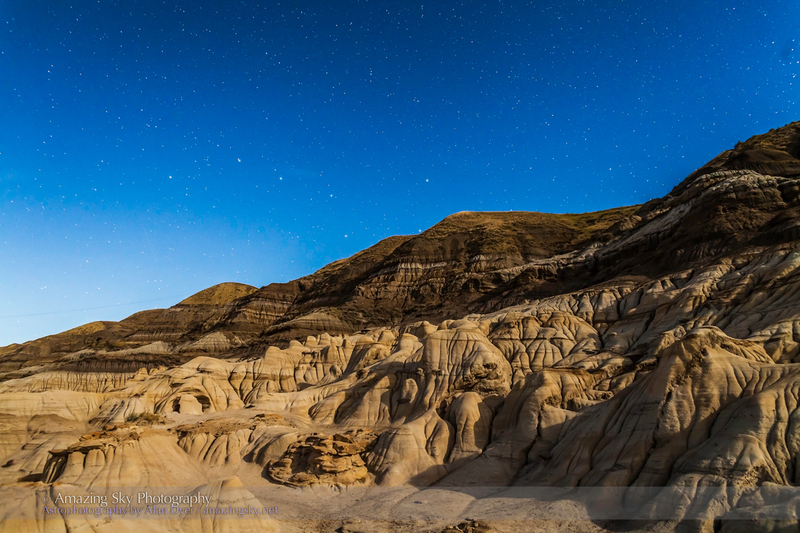 The Big Dipper swings behind the Hoodoos in the Red Deer River badlands on a moonlit night. Last night I headed north to the Red Deer River valley to shoot a time-lapse over the river with the badland hills lit by the rising waning Moon. After finishing that I stopped at the popular Hoodoos tourist attraction on Highway 10 east of Drumheller. 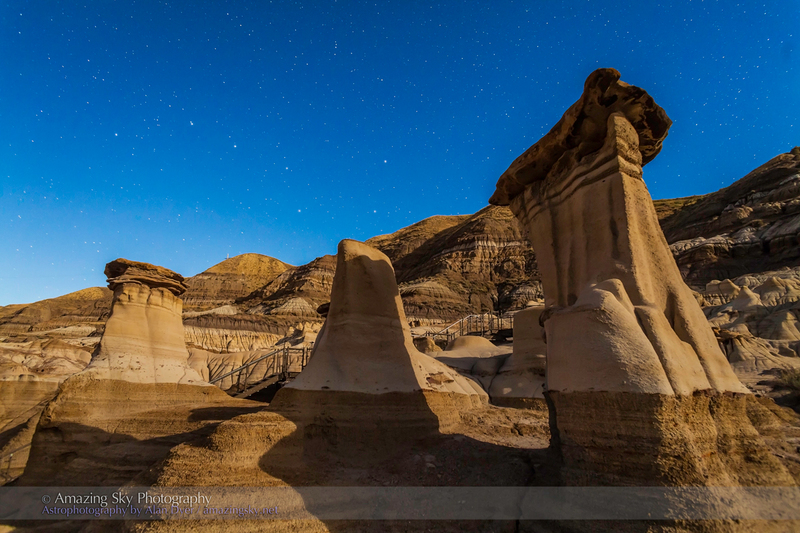 I had the place to myself at midnight, and the photo ops around the moonlit hoodoos were many. These formations form when harder capstone rock prevents the soft lower layers from eroding in the rain. The Big Dipper was nicely positioned above the hills as it swings low across the northern horizon in autumn. 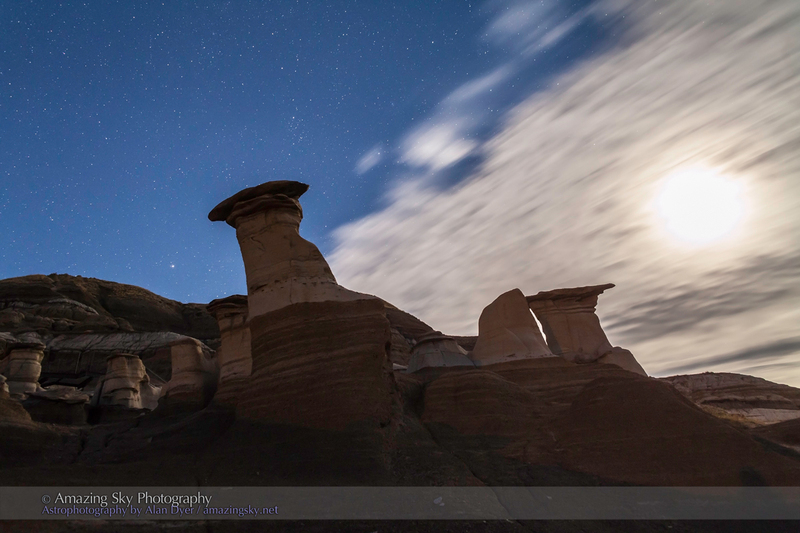 Here I aimed back toward the Moon, with its glare muted by high cloud, and backlighting the hoodoos. 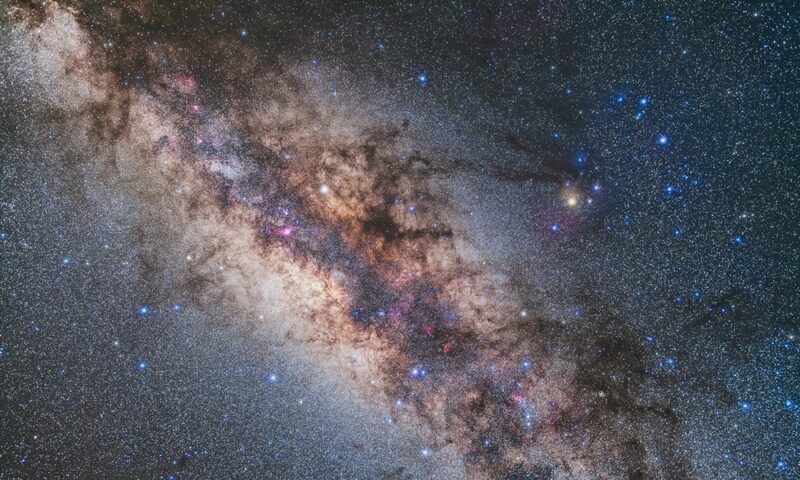 The stars of Perseus are rising at left. Unlike normal astrophotography, with nightscape work, and certainly time-lapse shooting, clouds can be a benefit. This was a great spot to end an evening of nightscape shooting. What a fantastic shot! I would have loved to have been there! Really like it!!! – thanks Alan.